Located within the Department of Energy, the Office of Fossil Energy (FE) is the federal government’s lead office for coal, natural gas and oil exploration and development. Altogether the FE oversees approximately 600 research and development projects, ranging from development of zero-emissions power plants to energy facilities that efficiently transform coal, biomass, and other fuels into commercial products to new technologies that can extract oil from existing fields that currently are unreachable. The FE is also responsible for managing the country’s underground supply of oil in case of emergencies, known as the Strategic Petroleum Reserve, and running three research labs that conduct fossil energy exploration. The federal government's involvement in fossil fuel resources began in the early 1900s. Long before Americans experienced the oil shortages of the 1970s, petroleum shortfalls became a major concern for the federal government at the start of the 20th century. Oil shortages were a serious concern of lawmakers thanks to growing demand for oil by the U.S. Navy, which had converted from sails and coal to black oil for fuel as America began building its modern navy. To alleviate concerns of dwindling oil supplies, the government began withdrawing lands from the public domain, hoping to find crude oil. Between 1909 and 1924, tracts in California, Utah, and Wyoming were set aside for the creation of what became the Naval Petroleum and Oil Shale Reserves, now the oldest component of the Office of Fossil Energy (FE). The federal government’s petroleum research program began shortly after World War I. The U.S. Bureau of Mines, part of the Department of the Interior, set up a petroleum experiment station in Bartlesville, Oklahoma, in 1916. A year later, large oil deposits were discovered beneath the lands of the Osage Indian Nation just west of Bartlesville. When German scientists and technical documents were captured in the latter stages of World War II, the U.S. government first learned of new ways to extract oil from coal. Because the United States possessed massive quantities of coal, the federal government began investigating possible coal-based synthetic alternatives with the passage of the Synthetic Liquid Fuels Act of 1944. In 1961 U.S. Senator Robert Byrd (D-West Virginia) sponsored legislation that established the Office of Coal Research in the Department of the Interior. With a modest first-year budget of $1 million, the office began to study a wide range of coal technologies, including the conversion of coal to gas and liquid fuels and new ways to combust coal more cleanly. The oil embargo of 1973 by the Organization of Petroleum Exporting Countries (OPEC) brought energy and the security of oil to the forefront of the nation's attention. When several Persian Gulf nations temporarily ceased oil shipments to the United States and sent world oil prices skyrocketing, American policymakers decided it was time for a new federal agency to handle energy matters. The Energy Reorganization Act of 1974 (pdf) created two new agencies: the Energy Research and Development Administration (ERDA), which not only carried out energy development programs but also oversaw the development of nuclear weapons and naval nuclear reactors, and the Nuclear Regulatory Commission to regulate the nuclear power industry. The Office of Coal Research shifted from the Interior Department to the newly created ERDA and became the core organization for the fossil energy program. Along with coal research, the new fossil energy office also became the home for the government's petroleum research program and a small synthetic fuels research program transferred from the Bureau of Mines. The oil embargo of 1973 not only led to a reorganization of federal energy functions, but also called attention to the need for an emergency stockpile of crude oil. Although federal oil reserves already existed in the west, the government decided the country needed a reserve that could pump emergency oil into the market much faster than any oil field. Such a stockpile of crude oil had been discussed in the Eisenhower Administration, but never implemented. On December 22, 1975, however, with the economy reeling from the first shock of oil shortages, President Ford signed the Energy Policy and Conservation Act, extending oil price controls, mandating automobile fuel economy standards and authorizing the creation of an emergency oil reserve. The final major piece of today’s fossil energy organization, the U.S. Strategic Petroleum Reserve, began forming. In 1977, with the nation facing its most severe winter in decades, natural gas shortages caused thousands of factory and school closings and threatened cutoffs to residential customers. More unrest was also taking place in the Middle East, specifically Iran, one of the world’s biggest exporters of crude oil, where Islamic and secular revolutionaries would eventually overthrow the Shah, causing havoc in world oil markets. In response to these crises, President Carter signed the Department of Energy Organization Act, consolidating more than 30 separate energy functions carried out by various government agencies, including ERDA, into the brand new Department of Energy (DOE). In 1979 the fossil energy programs were organized into essentially the form that the FE is today. FE research has historically focused on two programs—coal and power systems and natural gas and petroleum technology. Very large budgets from 1978 through 1981 were provided in response to the energy crises of the 1970s and early 1980s. During that period, more than 73% of the money was provided for technologies to produce liquid and gas fuel options from U.S. energy resources—coal and oil shale. According to an analysis by the National Academies Press, from 1978 to 2000 58% of research and development funds were for coal utilization and conversion. Of this, approximately one-half was spent on direct liquefaction and gasification for building and operating large, commercial-scale demonstration plants between 1978 and 1981. In 1978, the coal conversion and utilization portion of the budget represented 68% of the total fossil energy expenditures, but since then, as funding for direct liquefaction and gasification declined, it has represented a considerably lower percentage. In 2000, it represented only 30% of the overall fossil energy budget for the technology programs analyzed. With the election of George W. Bush in 2001, coal became the focus of a major new energy policy initiative. Coal is the United States’ most abundant fossil fuel. It is found in 38 states beneath 13% of the nation’s land area, and enough of it exists (268 billion tons) to provide a 240-year supply at today’s usage rates. The problem is that coal contains sulfur, nitrogen, mercury, and other trace heavy metals that can damage the environment. So the George W. Bush administration launched a $2 billion, 10-year Clean Coal Power Initiative to develop new technologies that will allow the country to fully utilize this resource without damaging America’s ecosystems or contributing to the worldwide problem of global warming. The administration also launched another ambitious project, FutureGen, which would invest almost $2 billion into research for building a prototype power plant that can burn coal without releasing virtually any air pollution and instead bury the carbon emissions deep inside the earth, while at the same time produce hydrogen that could be captured for use in fuel cells. The project has had a number of starts and stops due to funding issues. In 2009, under the Obama administration, funds were earmarked for FutureGen through the American Recovery and Reinvestment Act. That money, combined with private sector investment, gave the project a push. The DOE, partnered with the public interest organization FutureGen Alliance, has kept the enterprise (now known as FutureGen 2.0) on track with construction set to begin in 2014 in order to become operational in 2017. Located within the Department of Energy, the Office of Fossil Energy (FE) is the federal government’s lead office for coal, natural gas, and oil exploration and development. Altogether the FE oversees approximately 600 research and development projects ranging from development of zero-emissions power plants to energy facilities that efficiently transform coal, biomass, and other fuels into commercial products to new technologies that can extract oil from existing fields that currently are unreachable. Carbon Capture, Utilization and Storage R&D, which includes industrial carbon capture and carbon sequestration. The Carbon Sequestration division is a network of seven Regional Carbon Sequestration Partnerships (RCSPs) to help develop the technology, infrastructure, and regulations to implement large-scale CO2 sequestration in different regions and geologic formations. The Hydrogen and Clean Fuels Research program is exploring new methods of developing and using hydrogen as fuel or power source. The Office of Oil and Natural Gas examines new ways of drilling for oil, developing new forms of petroleum, technology transfer initiatives and transmission, distribution and storage of oil and natural gas. 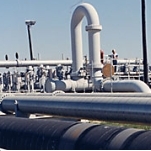 The Natural Gas Import and Export Regulation section regulates natural gas imports and exports, which includes maintaining statistics on North American natural gas trade, and overseeing the FE’s international programs pertaining to natural gas and petroleum. Other programs support the office’s U.S. Petroleum Reserves division. The FE is responsible for managing the country’s underground supply of oil in case of emergencies, known as the Strategic Petroleum Reserve (SPR). The SPR is the largest government-owned inventory of emergency crude oil in the world, with a current capacity of 727 million barrels stored in deep, underground salt caverns along the Texas and Louisiana Gulf coasts. Should the president decide to tap the emergency stockpile, SPR crude oil can begin flowing to U.S. markets in as little as 13 days. The history of SPR releases (pdf) includes incidents in 2005 and 2008, when the reserve was tapped in conjunction with Hurricanes Katrina, Gustav, and Ike; and again in July and August 2011, when President Obama authorized the sale of 30.59 million barrels in response to global supply interruptions caused by the civil unrest in Libya. As directed under the Energy Policy Act of 2005 (pdf), the FE had initiated proceedings to select sites needed to expand the SPR to one billion barrels of oil, however this undertaking was cancelled in 2010 after more than two years was spent preparing a required Environmental Impact Statement. The FE also manages the two-million-barrel emergency Northeast Home Heating Oil Reserve and the Naval Petroleum and Oil Shale Reserves, which control oil-bearing lands owned by the U.S. government. National Energy Technology Laboratory - As the nation’s only national laboratory devoted to fossil fuel research, the National Energy Technology Laboratory is the lead field center for FE’s research and development program. Scientists at its Pittsburgh, Pennsylvania; Albany, Oregon; Anchorage, Alaska; Houston, Texas; and Morgantown, West Virginia, campuses conduct onsite research while contract administrators oversee nearly 1,800 federally sponsored projects conducted by private sector research partners. The Tulsa, Oklahoma, office is part of the laboratory’s Strategic Center for Natural Gas and Oil (pdf). Albany Research Center - Established in 1942, the Albany Research Center’s researchers address fundamental mechanisms and processes; melt, cast and fabricate up to one ton of materials; completely characterize the chemical and physical properties of materials; and deal with the waste and by-products of materials processes. Rocky Mountain Oilfield Testing Center - Located on the federal Naval Petroleum Reserve #3, this facility offers an operating oil field as a test site for both federal and private sector oil technology experiments. The Office of Fossil Energy (FE) spent nearly $54.4 million on 221 contractor transactions during the past decade, according to USAapending.gov. The top five types of products or services purchased were management support ($18,426,782), engineering and technical ($11,146,955), various professional services ($6,493,571), engineering and technical support ($4,287,844), and additional management/support services ($4,179,960). American Petroleum Institute (API) is the only national trade association that represents all aspects of America’s oil and natural gas industry. Its 400 corporate members, from the largest major oil company to the smallest of independents, come from all segments of the industry. API represents producers, refiners, suppliers, pipeline operators, and marine transporters, as well as service and supply companies that support all segments of the industry. Western States Petroleum Association (WSPA) is a non-profit trade association that represents approximately 30 companies that account for the bulk of petroleum exploration, production, refining, transportation and marketing in the six western states of Arizona, California, Hawaii, Nevada, Oregon, and Washington. Founded in 1907, WSPA is the oldest petroleum trade association in the United States. The National Mining Association (NMA) is the voice of the American mining industry in Washington D.C. NMA is the only national trade organization that represents the interests of mining before Congress, the White House, federal agencies, the judiciary and the media. Members include more than 300 corporations involved in all aspects of the mining industry, including coal, metal and industrial mineral producers, mineral processors, equipment manufacturers, state associations, bulk transporters, engineering firms, consultants, financial institutions, and other companies that supply goods and services to the mining industry. Other trade organizations include the American Coal Ash Association, West Virginia Coal Association, Alabama Coal Association, Western Kentucky Coal Association and the National Rural Electric Cooperative Association. In addition to these fossil fuel-oriented businesses, the FE contracts with several companies that provide technical, administrative and security services for the National Energy Technology Laboratory. These contractors are Research and Development Solutions, LLC, Performance Results Corporation, Prologic Incorporated, Pace-Tec, TJR Enterprises, Inc., Eagle Facilities Management Services, and ISF Security Group, Inc., also known as Ameritex Guard Services. The non-partisan Congressional Budget Office (CBO) informed lawmakers in August 2012 that even if the government opened all federal land to oil and gas drilling—including the Arctic National Wildlife Refuge (ANWR)—Americans still would not be protected from price hikes or global supply disruptions. Furthermore, the bold move would yield only modest revenue to the U.S. Treasury. Critics of expanded oil development seized on the CBO reports to kill efforts by conservatives to increase drilling on public lands. One report, which was requested by Republican vice presidential candidate Paul Ryan in his capacity as House Budget Committee chairman, concluded that opening ANWR, parts of the Atlantic, Pacific, and Florida coasts, and all other targeted public lands would yield only $7 billion over the next 10 years, barely 0.1% of the deficits the budget office projected for that period. Another report released in May found that more domestic drilling would not make America less susceptible to price hikes or supply disruptions, primarily because oil is sold on a global market that would quickly absorb increased supply and blunt any domestic price impact. After reviewing different proposals to enhance the country’s energy security, the CBO determined that using less oil was the only way to avoid price increases. The United States in 2012 became a net exporter of oil, due to a decline at home for petroleum and refined products. But prices for gasoline continued to climb in the U.S., a fact that seemed to conflict with the basic laws of supply and demand. As of February 2012, the price of oil reached $106 a barrel, while gasoline averaged $3.57 a gallon ($4.04 in California). McClatchy Newspapers reported that crude oil prices were climbing on the New York Mercantile Exchange because of growing fears over a military confrontation with Iran in the Strait of Hormuz in the Persian Gulf. Some 20% of the world’s oil is transported through there. Oil prices also rose due to the bankruptcy of Petroplus, a large European refiner, and a BP refinery fire in Washington state that temporarily limited gasoline supply along the West Coast. President Barack Obama proposed in 2012 to cut more than $40 billion in tax breaks for oil, gas, and coal companies in the next decade in order to spend more money for conservation and alternate energy. “We need to reduce our dependence on foreign oil by ending the subsidies for oil companies and doubling down on clean energy that generates jobs and strengthens our security,” Obama said in a speech at Northern Virginia Community College in Annandale, Virginia. The plan borrowed heavily from a package of tax increases and spending cuts Obama offered in September 2011, which included a 25% boost in spending for energy efficiency and alternate energy. The push to adopt renewable energy has led proponents of more traditional power supplies (oil, coal, and gas) to argue that no matter how much the government embraces wind and solar projects, the nation will still need fossil fuels and non-clean-energy resources for the foreseeable future. After Colorado Governor John Hickenlooper announced plans to have General Electric build one of the nation’s largest solar-panel manufacturing plants in the state, supporters of “green” technology claimed fossil fuels had no place in Colorado’s energy future. But Andrew Lillie, a Denver attorney who has represented the natural resources industry, points out that there’s no getting away from fossil fuel products. “You might be an advocate for renewables, but the sleek computer on which you’re reading this likely was produced in Asia from oil-based plastic, along with metals and rare-earth elements extracted with giant machines, then shipped across the ocean on huge freighters—all thanks to fossil fuels,” Lillie wrote in ColoradoBiz magazine in 2011. “And don’t get me started about all the wonderful outdoor gear on which we Coloradans depend and where it comes from. Although an economically sustainable renewable-energy world is tantalizing and will become necessary, we cannot ignore fossil fuels: they are abundant, technologically available, and economically viable,” he added. The month of April 2010 was filled with tragedies for workers in the fossil-fuel industry. In this one 30-day period, 29 coal miners lost their lives at the Massey mine explosion in West Virginia, two miners were killed in a western Kentucky mine accident, and 11 workers lost their lives in the BP Deepwater Horizon disaster. The accidents were a painful reminder of how dangerous the fossil-fuel industry can be. Between 1968 and early 2011, explosions, fires, and collapsed mine shafts killed at least 3,827 miners, according to the Center for American Progress. The oil industry also has had its share of fatal accidents. During the same period of time, 77 workers died and 7,550 were injured at onshore and offshore oil production facilities. Shortly after President George W. Bush announced in his 2008 State of the Union speech that he planned a big hike in energy research funding, the administration appeared ready to scuttle one of its most important energy initiatives, FutureGen. Lawmakers from Illinois were told by then-secretary of the Department of Energy Samuel Bodman that he was ready to pull the plug on the billion-dollar program that would have been a boon for downstate Illinois. Only a month earlier, energy officials announced that Mattoon, Illinois, won a battle with Texas to host FutureGen. A DOE spokeswoman said soaring cost projections and technological advances had led the department to rethink the project. The president first embraced the concept of FutureGen in 2003 as an inventive approach to energy generation that would use abundant U.S. coal reserves but trap most of the pollutants associated with the burning of coal. The idea was to marry two proven technologies to gasify coal and then bury greenhouse gases produced by the process deep within the earth. During a meeting in Washington D.C., Bodman told the Illinois delegation that he planned to disband FutureGen and go “in another direction.” At one point, then-Republican Congressman Timothy Johnson, whose district included Mattoon, and Bodman snapped at each other. The FutureGen project was to be one of the administration's biggest energy research plums, rich with promise, as well as jobs and investment for the winning community. Plans called for it to be built by a consortium involving DOE and coal and power companies, with 74% of the funding coming from taxpayers. Private sector partners in FutureGen announced the selection of Mattoon in December 2007, even though Bodman’s agency had urged a delay. Subsequently, the coal and power companies promised to pick up a bigger share of the project’s costs, leaving the administration still on the hook for the bulk of construction expenses. Several communities bid to host the project, with the finalists coming down to Mattoon and nearby Tuscola, Illinois, and two cities in Texas. To some in Illinois, the battle evoked memories of the 1988 showdown over a $4 billion federally funded particle accelerator. One week after George H.W. Bush had been elected president, his home state of Texas was awarded the Superconducting Super Collider Project, triggering charges from the losing side that politics had trumped science. The project was beset by cost overruns and was never finished. Surviving the end of the George W. Bush administration and carrying through the Obama administration, the project has since had a number of starts and stops due to funding issues. Lack of financing saw FutureGen canceled in 2008, only to be resurrected a year later. A General Accountability Office (GAO) report suggested that the decision to revive it may have been misguided, claiming that it would not be cost-effective. Furthermore, the Environmental Protection Agency (EPA) claimed that the technology underlying FutureGen—carbon capture and sequestration—might not be operative until 2020. Nonetheless, the DOE decided to proceed with FutureGen. Financial backing for it was earmarked through the American Recovery and Reinvestment Act in 2009. In August 2010, the DOE cancelled plans to build the plant in Mattoon, and announced that it would move the project—now called FutureGen 2.0—to Meredosia, Illinois, where it would invest a billion dollars to retrofit a 64-year-old oil-burning plant and build a training center. The DOE, partnered with the public interest organization FutureGen Alliance, has kept the enterprise on track. A billion dollars in funding from the Recovery Act was announced for the project in 2013, with construction set to begin in 2014 in order for the plant to become operational in 2017. U.S. District Court judge Ed Ludwig of Philadelphia has proposed making oil a public utility in order to bring down prices for gasoline and heating oil. He notes that on September 11, 2001, the per-gallon price of oil was about $1.25, and it has tripled since. Ludwig points out that public utilities are defined as businesses that provide an everyday necessity to the public, in return for reasonable compensation—which is vastly exceeded by the money made by the oil companies. “Given the political implications and the strength of the oil industry's influence, the chances of regulating it are presently nonexistent,” said Ludwig. “However, the inordinate profits in the past several years, regardless of the explanations, cry out for demanding that oil be treated as a public utility. It is an indispensable commodity, and the opportunity for abuse at the public’s expense is undeniable. Should the U.S. end energy subsidies? With the rise of wind and solar projects in recent years, a common debate among policymakers and experts has been how much the U.S. government should spend to subsidize renewable energy versus fossil fuels, which have historically been heavily supported by Washington. But given the financial as well as environmental costs of these two types of energy production, another question has been raised: Should the government stop providing energy subsidies altogether? These tax breaks and loan guarantees are quite costly in dollars alone. The Congressional Budget Office determined in 2012 that federal subsidies received by the various energy industries totaled $24 billion. Of this amount, $16 billion was spent on renewable energy and energy efficiency and $2.5 billion on fossil fuels. The ethanol industry received over $6 billion, making it the single largest renewable energy recipient, with the wind industry coming in second. But there are other costs beyond the financial that stem from helping energy companies. The International Monetary Fund (IMF) estimated in 2013 that overall global fossil fuel subsidies amounted to about $1.9 trillion annually, with the biggest costs related to the social cost of carbon. This encompassed an estimate of the direct effects of carbon emissions on economies, taking into account such factors as net agricultural productivity loss, human health effects, property damages from sea-level rise, and changes in ecosystems. Critics of energy subsidies have offered multiple reasons for ending government supports of fossil fuel production and renewable energy projects. Some seized upon a report from the IMF that concluded energy subsidies hinder government efforts to reduce budget deficits and compete with public spending on infrastructure, schools, and healthcare. “For some countries, the fiscal weight of energy subsidies is growing so large that budget deficits are becoming unmanageable and threaten the stability of the economy,” IMF First Deputy Managing Director David Lipton told the media in 2013. Another opinion, from Joseph Aldy at Harvard University, focused on eliminating a dozen tax breaks for fossil fuels in the U.S. Aldy claimed by taking this action, the government would level the playing field among oil and gas companies, since independent producers enjoy greater tax benefits than larger oil corporations. The change would also promote efficiency in allocating capital across the U.S. economy, he said. Scientist James Conca called for ending subsidies and replacing them with a tax on carbon. This would spur increased efficiency and development of biofuels, while establishing a policy “much more in keeping with market forces than incentives because everyone tries to develop ways to avoid a tax. That, in turn, decreases emissions. Conversely, people try to take advantage of incentives, which don’t necessarily result in lower emissions,” Conca wrote in Forbes. Those in favor of keeping energy subsidies offer their own myriad reasons for staying the course. Many lawmakers in Congress strongly oppose any effort to end the subsidies. Some, like Republican Sen. John Cornyn of Texas, say the support is needed fully develop energy production in the U.S. and to maintain low energy costs. Other members of Congress, like GOP Sen. Kelly Ayotte of New Hampshire, rejects ending subsidies because she claims to do so would negatively impact the economy. Rep. Scott Garrett (R-New Jersey) fears such a move would increase taxes on the oil and natural gas industries, which could potentially decrease exploration, development, and production while increasing prices and worsening the nation’s reliance on foreign oil. Republicans aren’t the only lawmakers against ending energy subsidies. To eliminate all such subsidies would mean ending the Low Income Home Energy Assistance Program, which helps the poor pay their heating bills. Sen. Charles Schumer (D-New York) and Rep. Edward Markey (D-Massachusetts) have fought ending this program, saying it was too extreme and would set the nation backward. Should we end the Strategic Petroleum Reserve? Created in 1975 in the wake of the Arab oil embargo against the United States, the Strategic Petroleum Reserve (SPR) serves as the nation’s emergency oil stockpile. It is the largest emergency petroleum supply in the world, with a capacity of 727 million barrels of crude oil in underground salt caverns (and filled with about 696 million in late 2012—equal to about 80 days of oil imports) at four sites along the Gulf of Mexico. The government decided to use salt caverns because it cost less than storing oil in aboveground tanks and because pressure from the earth helps seal up any leaks that might develop. The government chose to put the oil near the Gulf of Mexico because of the abundance of oil refineries in the region, along with the access to shipping. The sites are located at Bryan Mound near Freeport, Texas; Big Hill near Winnie, Texas; West Hackberry near Lake Charles, Louisiana; and Bayou Choctaw near Baton Rouge, Louisiana. Most of the oil in the reserve comes from Mexico and the North Sea. The SPR costs the federal government $21 million a year to maintain the oil reserve, which employs about 1,150 people. In 2011, with the demand for gasoline rising, President Barack Obama made the surprise announcement to release 30 million barrels from the SPR into the global oil markets, with the intention of bringing down prices at the pump for American consumers. During its existence, politicians and economists have embraced the SPR as one of the best means to protect the nation against oil supply shocks. But in recent years, some experts have argued the reserve has outlived its usefulness and should be shut down. The Cato Institute produced a study in 2005 arguing the government should shutter the petroleum reserve. Jerry Taylor and Peter Van Doren concluded there wasn’t much proof that having an emergency stock of oil was necessary to protect the country against supply disruptions. “Absent concrete market failures, government intervention in oil markets is unlikely to enhance economic welfare,” they wrote. Critics of the SPR point out that presidential administrations have been reluctant to use the reserve in a quick and timely manner, giving even less reason for having it around. They say Congress should authorize the sale of the SPR’s oil and terminate the program. Blake Clayton at the Council on Foreign Relations analyzed the 2011 release of SPR crude in coordination with a release of crude by the International Energy Agency (IEA) as a reaction to the collapse of Libyan oil production. The research aimed to better understand the political underpinnings and market consequences of this move. Clayton’s conclusion made it clear that the U.S. should keep the SPR, as long as officials keep in mind certain considerations. He recommended that energy officials in IEA countries remember possible wild swings in market prices for oil when planning future releases of the SPR. He also said they should tailor their cooperation with other influential oil-producing and -consuming countries to their evolving geopolitical realities, and address potential U.S. operational impediments (such as restrictions on exporting U.S. crude). If leaders keep these lessons in mind, he argued, the U.S. will pay dividends the next time it faces the need to access its emergency oil stockpiles. Christopher A. Smith was nominated by President Barack Obama to be the Department of Energy’s Assistant Secretary for Fossil Energy on September 10, 2013. Because his nomination was not confirmed by the U.S. Senate by the end of the year, he was renominated for the post January 6, 2014. Smith grew up in Fort Worth, Texas, the son of Raymond Clyde Smith Jr. and Sue Ann Smith. He graduated from Southwest High School in Fort Worth in 1986. He went on to attend the United States Military Academy at West Point, graduating in 1991 with a Bachelor of Science in Engineering Management. After graduating from West Point, Smith served as a combat engineer in South Korea and Hawaii. He joined Citibank in 1994 and moved to J.P. Morgan in 1995 working in London. While in England he attended Cambridge University, earning an MBA in 1997. In 1998, Smith joined Texaco, staying on as that company merged with Chevron. He worked in business development and natural gas trading. For three years, he worked in Latin America, during which time he negotiated a pipeline deal between Colombia and Venezuela. Smith was asked to join the Obama Administration in October 2009. His first assignment was as deputy assistant secretary for Oil and Natural Gas in the Office of Fossil Energy. He served as the president’s representative to the National Commission on the BP Deepwater Horizon Oil Spill and Offshore Drilling in the wake of the Gulf of Mexico spill. 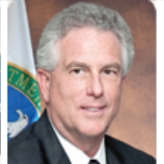 In February 2013, Smith was named principal deputy assistant secretary for Fossil Energy, and has been acting deputy secretary in the fossil energy office since then. A cousin of Smith’s, Emily J.T. Perez, graduated from West Point in 2005 and was killed in action in Iraq. Smith and his wife, Dr. Patricia Smith, have two children, Andrew and Amanda. A longtime energy industry executive, Charles D. McConnell was nominated in July 2011 by President Barack Obama to take over the Department of Energy’s Office of Fossil Energy, which is the U.S. government’s lead office for coal, natural gas and oil exploration and development. He was finally confirmed by the Senate on March 29, 2012. McConnell was born and raised in the small steel town of Steubenville, Ohio. His mother worked as a school teacher and his father was employed at the same steel mill for 37 years. While attending college at Carnegie Mellon University, McConnell spent two summers working in a steel mill and a power plant. He graduated with a degree in chemical engineering in 1977. Later he earned an MBA in finance from Cleveland State University in 1985.
in Ohio, Pittsburgh and on the East Coast. Later, McConnell worked on a joint venture between Union Carbide and Texaco that focused on gasification and hydrocarbon conversion. managing director for Asian markets. He also was in charge of Praxair’s North American Hydrogen and Carbon Monoxide operations, directed its North American Sustainable Development program, was responsible for its Oxy-Coal Technology and R&D and lobbied the government. McConnell ended his career at Praxair in Houston, Texas, retiring as global vice president in 2009. He then went to work for two years as vice president of carbon management at Battelle Energy Technology in Columbus, Ohio, where he was responsible for business and technology management, including leadership of the Midwest Regional Carbon Sequestration Partnership. Foundation of Texas. He also served as advisor to T&P Syngas Company (beginning in 1995), FutureGen Texas, the Gulf Coast Carbon Center at the University of Texas (beginning in 2003), the International Pittsburgh Coal Conference and the Coal Utilization Research Council.